T(n,k) is the number of cells in the k-h region of the n-th set of regions in a diagram of the symmetry of sigma(n), see example. Row n is a palindromic composition of sigma(n). Row n has length A237271(n). In the row 2n-1 of triangle both the first term and the last term are equal to n.
If n is an odd prime then row n is [m, m], where m = (1 + n)/2. The connection with A196020 is as follows: A196020 --> A236104 --> A235791 --> A237591 --> A237593 --> A239660 --> this sequence. For the boundary segments in an octant see A237591. For the boundary segments in a quadrant see A237593. For the boundary segments in the spiral see also A239660. 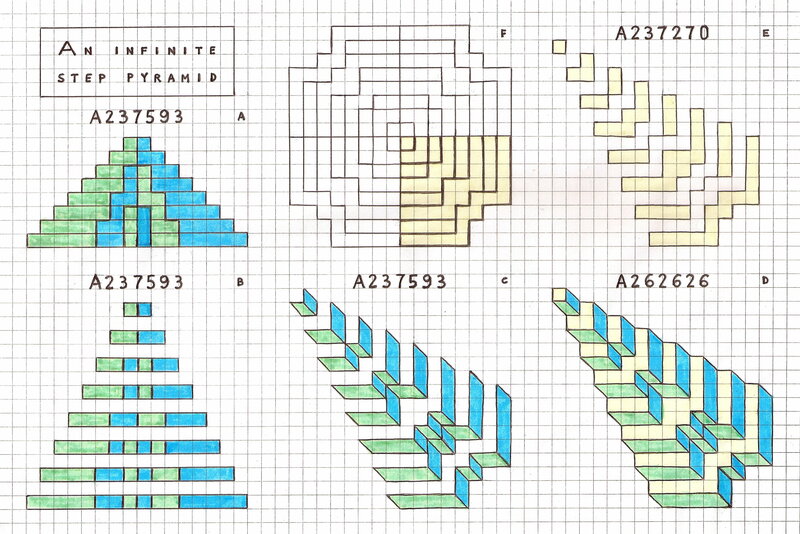 For the parts in every quadrant of the spiral see A239931, A239932, A239933, A239934. The total number of cells in the first n set of symmetric regions of the diagram equals A024916(n), the sum of all divisors of all positive integers <= n, hence the total number of cells in the n-th set of symmetric regions of the diagram equals sigma(n) = A000203(n). 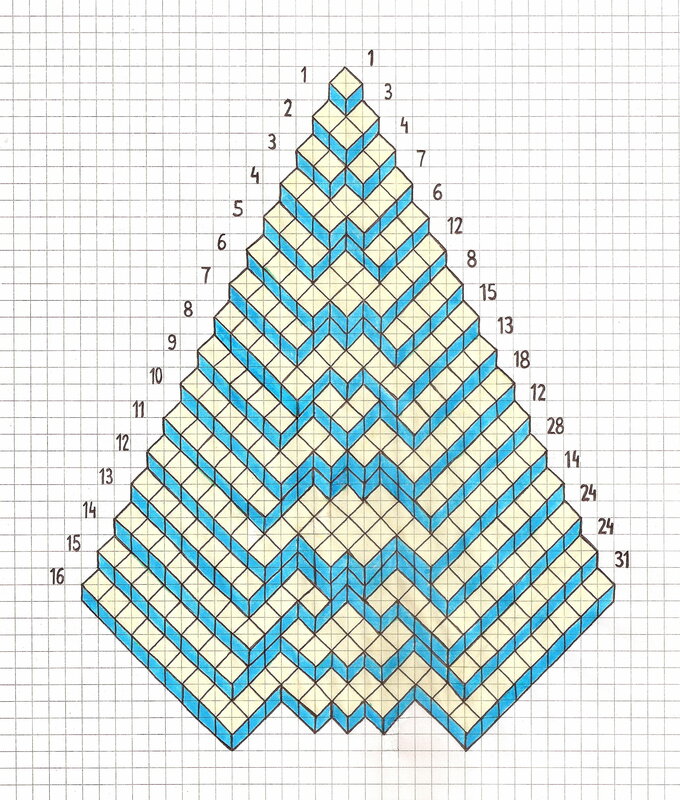 For n = 9 the 9th row of A237593 is [5, 2, 2, 2, 2, 5] and the 8th row of A237593 is [5, 2, 1, 1, 2, 5] therefore between both symmetric Dyck paths there are three regions (or parts) of sizes [5, 3, 5], so row 9 is [5, 3, 5]. The sum of divisors of 9 is 1 + 3 + 9 = A000203(9) = 13. On the other hand the sum of the parts of the symmetric representation of sigma(9) is 5 + 3 + 5 = 13, equaling the sum of divisors of 9. For n = 24 the 24th row of A237593 is [13, 4, 3, 2, 1, 1, 1, 1, 2, 3, 4, 13] and the 23rd row of A237593 is [12, 5, 2, 2, 1, 1, 1, 1, 2, 2, 5, 12] therefore between both symmetric Dyck paths there are only one region (or part) of size 60, so row 24 is 60. The sum of divisors of 24 is 1 + 2 + 3 + 4 + 6 + 8 + 12 + 24 = A000203(24) = 60. On the other hand the sum of the parts of the symmetric representation of sigma(24) is 60, equaling the sum of divisors of 24. Note that the number of *'s in the diagram is 24^2 - A024916(24) = 576 - 491 = A004125(24) = 85. Cf. A000203, A004125, A023196, A024916, A153485, A196020, A231347, A235791, A235796, A236104, A236112, A236540, A237046, A237048, A237271, A237590, A237591, A237593, A239050, A239660, A239663, A239665, A239931, A239932, A239933, A239934, A240020, A240062, A244050, A245092, A262626.